Saved Over $21,000 - Sold in Just 11 Days! 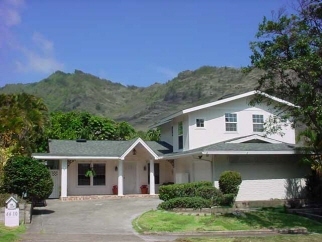 From the moment you step into this home the pressures of the day melt away in an atmosphere of old Hawaii. Beautifully remodeled country kitchen with copper stove hood. The ceilings seem to reach for the sky in the sun lit dining room and the cherry floors make sitting in the living room a sheer joy. The second floor apartment was designed for extended family and affords comfort, privacy and mountain views. Savings based on companies that charge a 6% listing fee.